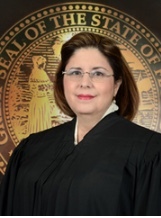 TALLAHASSEE- The Investigative Panel of the Florida Judicial Qualifications Commission (JQC) has filed formal charges against Miami-Dade County Judge Maria Ortiz for failing to properly disclose several occasions in which she and her husband received free hotel accommodations from the RIU Hotel Group. The complimentary accommodations were allegedly provided to Judge Ortiz’s husband, Mariano Fernandez, as part of an unlawful compensation scheme involving his position as Building Director for the City of North Miami Beach. A separate criminal case against Mr. Fernandez is proceeding in Miami-Dade County, however, the State Attorney did not charge Judge Ortiz with any criminal conduct. The JQC’s ethics charges against Judge Ortiz stem from her failure to report the free hotel stays on her financial disclosures. Judge Ortiz, has agreed that her failure to report the accommodations violated the Code of Judicial Conduct, and has entered into a Stipulation with the Investigative Panel in which she agrees to amend her disclosures, receive a public reprimand, and pay a $5,000 fine. The Florida Supreme Court will now decide whether to accept the Stipulation and impose the agreed sanction. Photo credit: 11th Judicial Circuit.